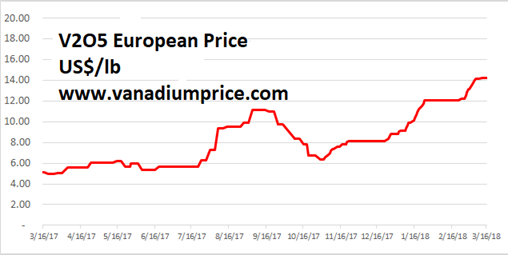 After the Bank of Montreal’s star analyst published bullish research notes on vanadium in January (2018), the price of vanadium pentoxide (v2o5) went up another 55%. 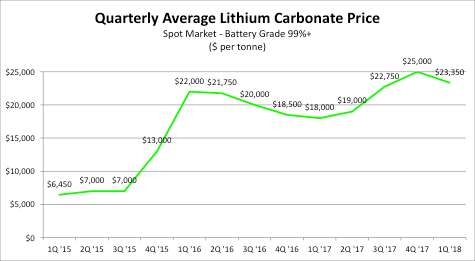 That made it the best-performing electric metal, surpassing cobalt and lithium by a wide margin. Vanadium is used in redox flow batteries, which are superior to lithium batteries in storage capacity, discharge duration, and battery life. I have written extensively about this. Vanadium and lithium are comparable in unit price and annual production. 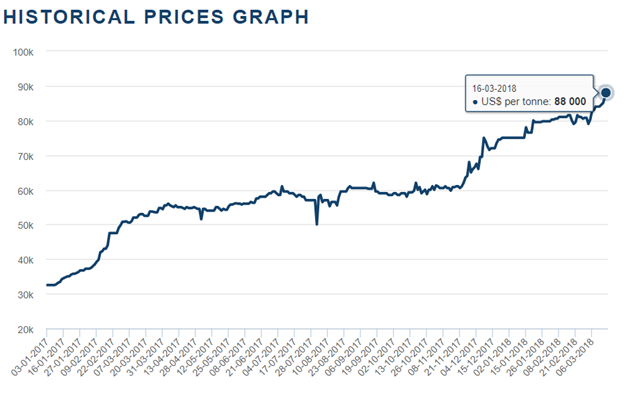 As for cobalt, the price is now $88,000/tonne, with an annual production of 110,000 tonnes ($9.7 billion). The following January BMO note is as relevant today as it was in January. “We see a situation where over the coming months Chinese exports of ferrovanadium could drop sharply on the back of increased domestic demand and raw material constraints. 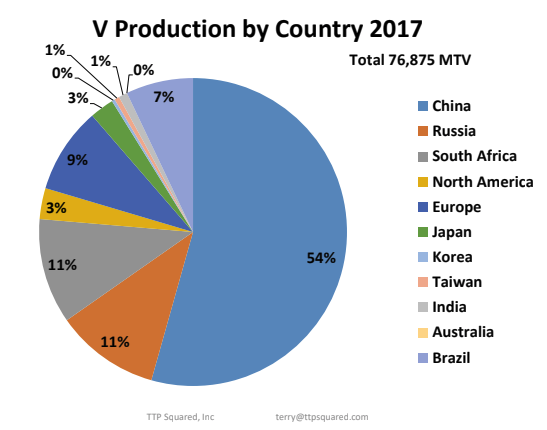 “Major domestic V2O5 producers reported no cargoes to sell in spot market, and ferro-vanadium producers raised prices and are selling in small amounts. Metal Bulletin has learned that major V2O5 producers including Tranvic Group, Jianlong Group and Desheng Group are fulfilling long-term orders and claimed to have no stock to sell into spot market. While lithium and cobalt mining stocks have been benefiting from an investor frenzy, the valuation of vanadium mining companies has been laggard. The stock chart of First Cobalt Corp, a Cobalt mineral exploration company. The stock chart of Prophecy Development Corp, a vanadium mineral exploration company. Prophecy (TSX: PCY, OTCQX: PRPCF), of which I am the executive chairman, is developing the Gibellini vanadium project in Nevada, USA. Gibellini has independently verified vanadium resources in the ground, and Prophecy aims to make Gibellnii the 1st vanadium mine in North America. My recent radio interview about Gibellini and the vanadium market can be heard here. The Chinese government is promoting the technology. Among the projects under construction is a backup power facility in Dalian. It will be twice the size of Tesla’s plant in Australia. The industry also lacks a high-profile champion such as Elon Musk. “Vanadium flow has yet to have its Tesla moment, and therefore it still flies under the radar,” Milewski said. To me, with vanadium making new eight-year highs daily, the vanadium story may soon be too compelling to ignore.